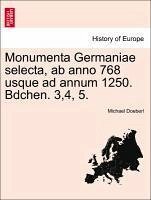 Monumenta Germaniae selecta, ab anno 768 usque ad annum 1250. 5. Bändchen: Zeit Heinrichs VI, Philips v. Schwaben, Ottos IV. und Friedrichs II. Monumenta Germaniae selecta, ab anno 768 usque ad annum 1250. Bdchen. 3,4, 5. 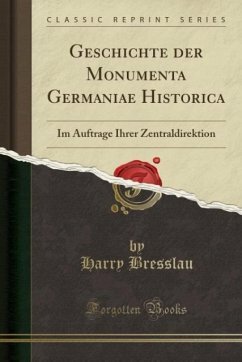 Excerpt from Geschichte der Monumenta Germaniae Historica: Im Auftrage Ihrer Zentraldirektion Veränderung ihres Verhältnisses zueinander 241 - 245. 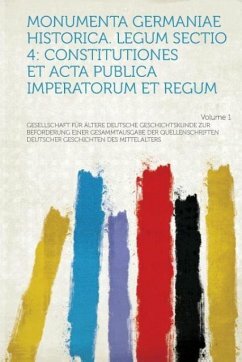 Pert zens Berufung nach Berlin. 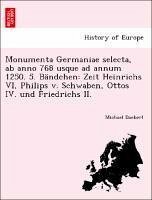 Waitz' Berufung nach Kiel 245 - 254. Neuer Vertrag mit der Hahnschen Buchband lung. 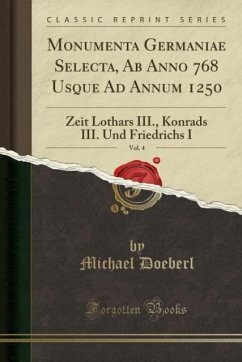 Grotefend als Korrektor 254 - 257. About the Publisher Forgotten Books publishes hundreds of thousands of rare and classic books. Find more at www.forgottenbooks.com This book is a reproduction of an important historical work. Forgotten Books uses state-of-the-art technology to digitally reconstruct the work, preserving the original format whilst repairing imperfections present in the aged copy. In rare cases, an imperfection in the original, such as a blemish or missing page, may be replicated in our edition. We do, however, repair the vast majority of imperfections successfully; any imperfections that remain are intentionally left to preserve the state of such historical works.